If you have missing teeth, it’s still possible to reclaim a beautiful smile. To find out how, visit 601 Dental Studio PA. Dr. Nadja Horst offers complete and partial dentures to help adults in Pembroke Pines, Florida, (servicing surrounding areas such as Miramar, FL., and Cooper City, FL.,) replace lost teeth and restore oral health. With this removable and convenient option, no one will know they aren’t your real teeth. To get started with a consultation, contact the office by calling or booking an appointment online today. Removable, convenient, and designed to mimic the look of your natural teeth, traditional dentures can effectively replace several or all of your missing teeth, and do so beautifully. Dentures have been in use for many years, and they’re still one of the most popular options for tooth replacement. Custom-made to match the color, shape, and feel of your natural teeth, they are created from an acrylic or resin material, and they can last a lifetime when cared for properly. If you’re not a candidate for dental implants, complete or partial dentures can get you the smile you’ve always wanted. 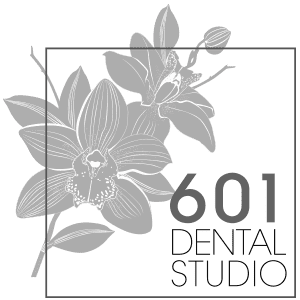 At 601 Dental Studio, Dr. Horst also offers implant-supported dentures, which can provide stability, comfort, convenience, and the aesthetics you’re looking for, without the typical drawbacks of traditional dentures. What can I expect with dentures? When you arrive for your initial consultation, Dr. Horst and her experienced dental team examine your oral structures to see what types of dentures are right for you: traditional or supported by implants. Dr. Horst also discusses your goals and concerns, answering any questions you may have. Your comfort, safety, and results are her primary considerations, and she wants your experience to be as pleasant as possible. You need enough jawbone density and strength to be an ideal candidate for implant-supported dentures. If bone density is lacking, bone grafting may be an option to better accommodate an implant, or traditional dentures may offer an ideal treatment. Implant-supported dentures are anchored into place using titanium posts. These dental implants are surgically affixed to the bone, functioning as the tooth’s root. The dentures are later attached to the implants so that they won’t slip, slide, shift, or wiggle. As a result, you can use your teeth as normal and put aside concerns about their appearance or function. Thinking of going with traditional dentures? Dr. Horst expertly fits them so that they don’t move, while providing the best function possible. While traditional dentures are a good option for many people, implant-supported dentures have further benefits, including preservation of facial bone strength and density, and reduced wear and tear of gum tissue. If you would like to learn more about dentures or any of the teeth replacement options at 601 Dental Studio PA, contact the office today to speak with an experienced dental professional. To schedule a consultation now, use the easy online booking tool.